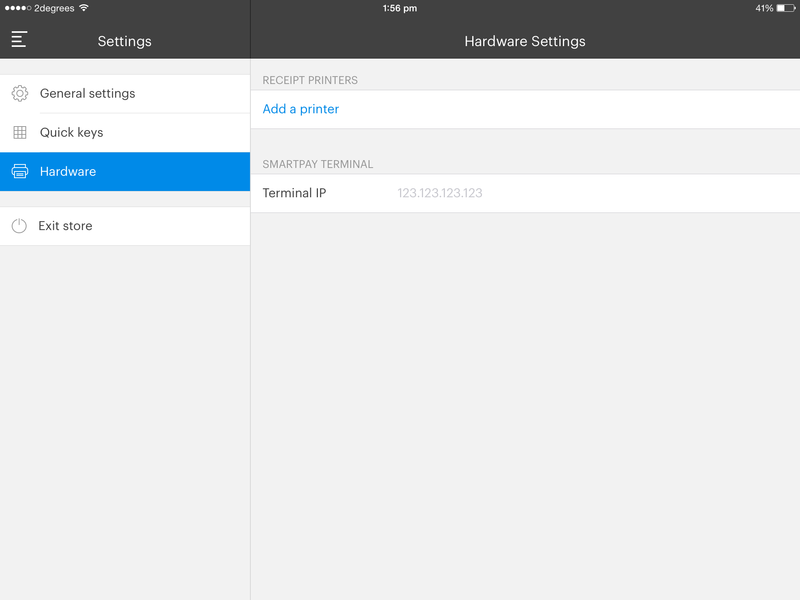 Setting up your Star TSP100III USB for iPad – How can we help? You will need a power cable and Lightning to USB cable (the one you use to charge your iPad) connected to the back of the printer. Open the Vend iPad app and Tap the menu icon. The sidebar will open. 6. Tap the blue Find button. 8. Select a name for your printer. This can be anything you choose such as “Cashier 1” or “Receipt Printer”. Include your selection in the “name” field. 10. 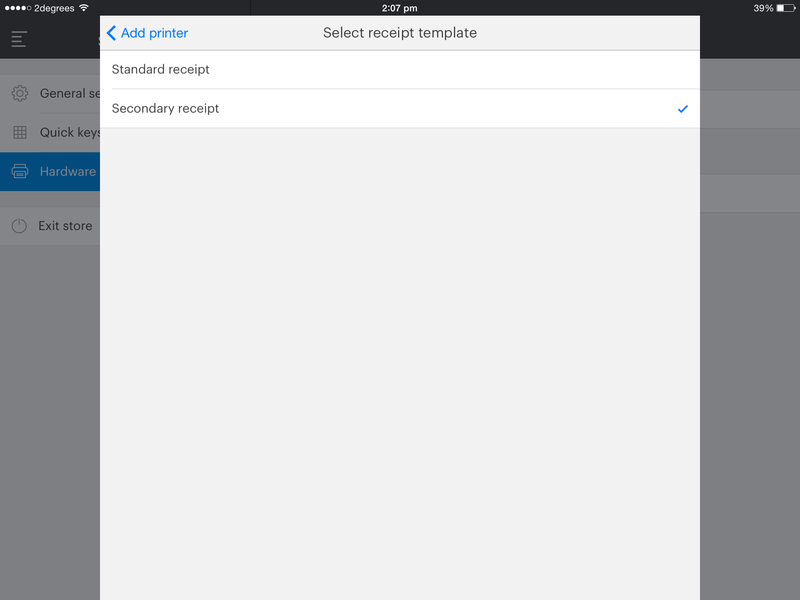 Choose whether you'd like your receipts to be printed automatically. If you don't automatically print a receipt, you won't be able to manually print one during the sale. 12. 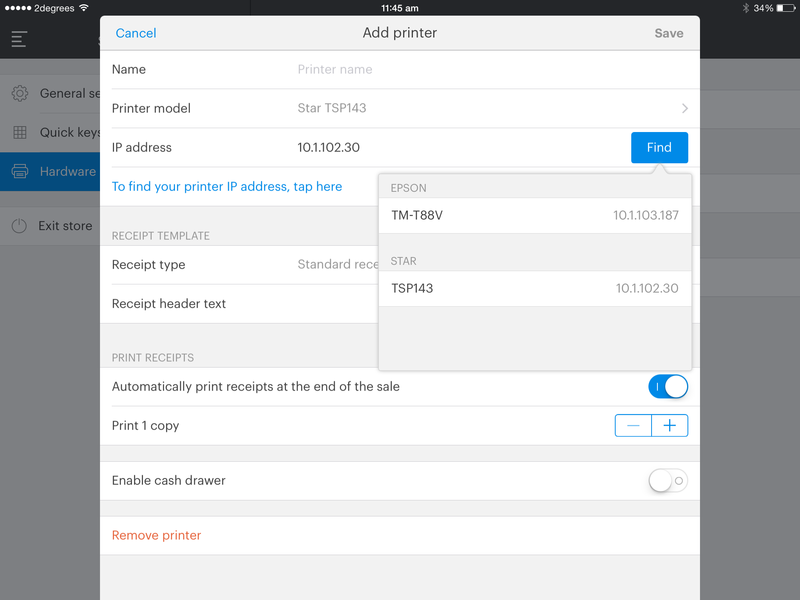 Tap Save to add your printer. 6. 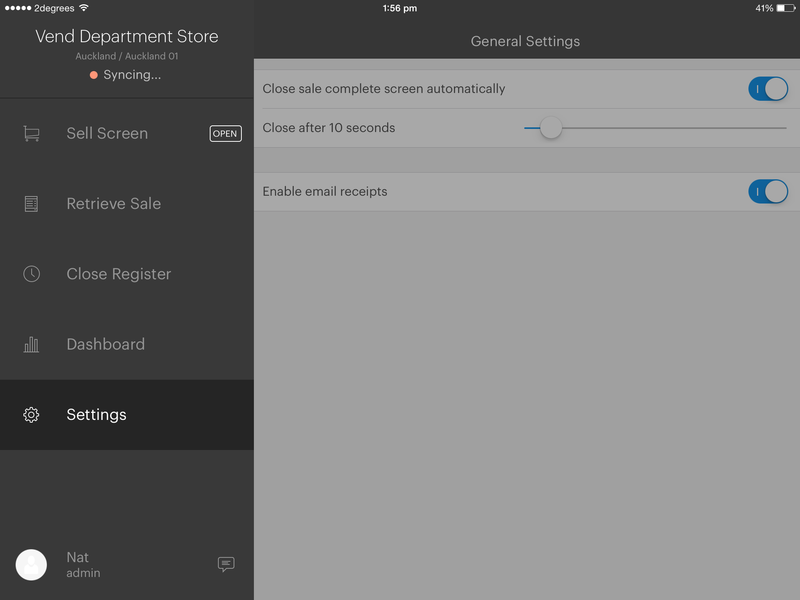 Toggle the Open cash on sale setting to 'on'.